The People-led Policy Panel for Health, Social Care Support and Integration, focussing on adult social care support initially, has been developed since July 2018. With support from over 30 organisations from across Scotland we recruited 50 people with a wide range of different backgrounds and experiences of needing adult social care support as a supported person or a carer. The Policy Panel, made up of people with different experiences of needing adult social care, is at the heart of upcoming reform of adult social care support in Scotland, drawing on the participant’s ‘expertise by experience’ to co-produce policy. The Policy Panel is made up of 50% women and recognises that the use of adult social care support and the employment of women in the social care support workforce is higher than for men. “Building on the contribution of ‘Our Shared Ambition for the future of social care support in Scotland’, we will continue to engage with disabled people and carers to develop a set of outcomes we wish to collectively achieve. This will include whether new models of delivery are required to achieve these outcomes within a challenging financial context” (https://www.gov.scot/publications/fairer-scotland-disabled-people-delivery-plan-2021-united-nations-convention/ p .13). 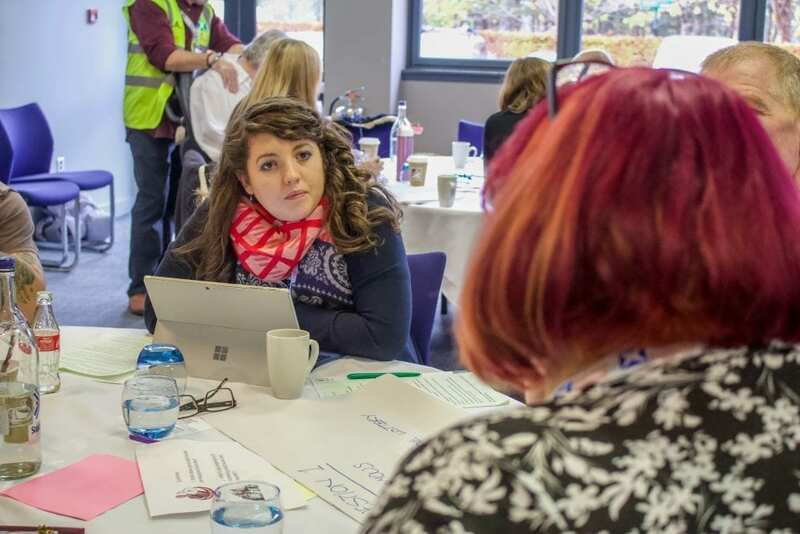 The People-led Policy Panel is using co-production to work as an equal partner with the Scottish Government to identify the priorities for the reform of adult social care support and generate ideas for better ways of working collaboratively with those who receive these services. People who use services are genuinely placed ‘at the heart’ of strategy and policy development and service design of social care support. Policy-makers and others have an effective, efficient means of gathering focused, relevant input from people who use services. A positive impact on quality of policy/ practice/ services/ support and problem solving can be demonstrated. A shared vision for social care support takes shape and awareness is raised of its distinct contribution to personal well-being and societal enrichment, its multiple roles and value. Effective capacity-building of all participants leads to longer-term benefits, including increased awareness and new skills. Overall engagement infrastructure is developed and strengthened. A smaller Core Group within the Policy Panel has direct communication with both the Scottish Government staff and the Ministers for Health and Sport. 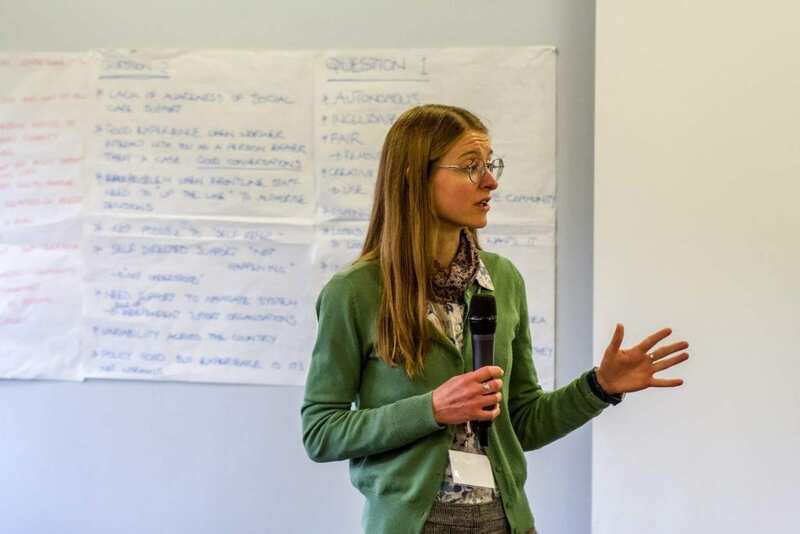 It is a new way of working for all the people involved and it has the potential to develop a new model of Scottish Government policy making on a range of topics, putting people’s experience at the heart of better decision making, policy design and implementation. The Policy Panel was launched on the 31st October by the Cabinet Secretary for Health and Sport, Jeane Freeman MSP. Participants were asked to share their experiences of adult social care support and what they thought good social care support would look like. The feedback covered the broad themes on the need for social care support that respected the rights to freedom, choice, dignity and control (i.e. the principles of independent living) as well as trust and better rights and recognition of the workforce. The kind of support that means you can have a life, rather than just survive. Flexibility and choice. Tailored to the individual’s needs. Person led. Support to be independent, without having to rely on family members or friends. Continuity and time to build relationships with staff. A simple system that is easy to understand and navigate. Transparent and accessible. Social care support is connected with other parts of the system; e.g. housing and transport. Training in using technology and other support for being employers of Personal Assistants. Consistency of support packages across Scotland. Recognising people’s potential – not just need – when assessing support for a person. Social care support being an attractive career. 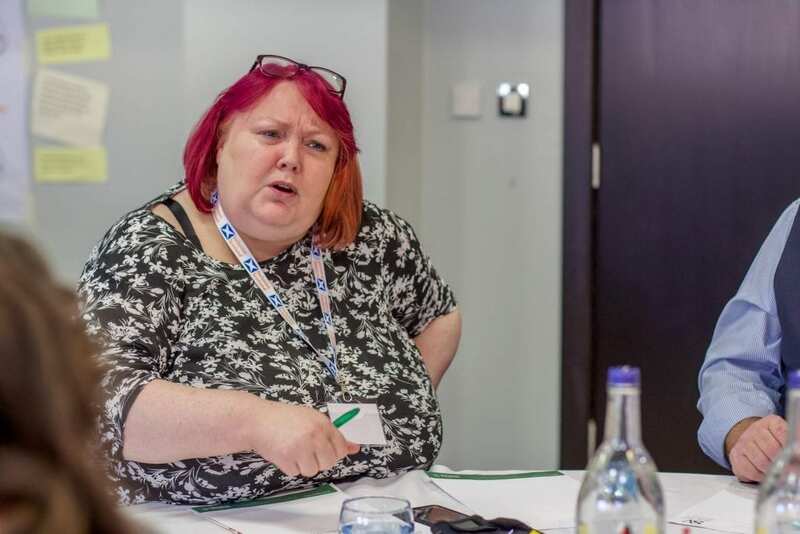 We have included these in Inclusion Scotland’s response to the Scottish Government’s and COSLA’s joint discussion paper on the priorities for adult social care reform. We’d like people to recognise how important social care is – a human right to live independently in the community, to have a family life and be actively involved in society. We also want other decision makers to recognise the value of lived experience when it comes to getting policies and services that work for the people who will be affected by them/ use them. This model of co-production between policy makers and experts by experience could take hold in both local and national decision making and people can take ownership of that. Follow us on social media, and look at our website to see the work that Inclusion Scotland does. Become a member of Inclusion Scotland for free so we can update you on any future opportunities to make Scotland a fairer, rights respecting and more inclusive place.